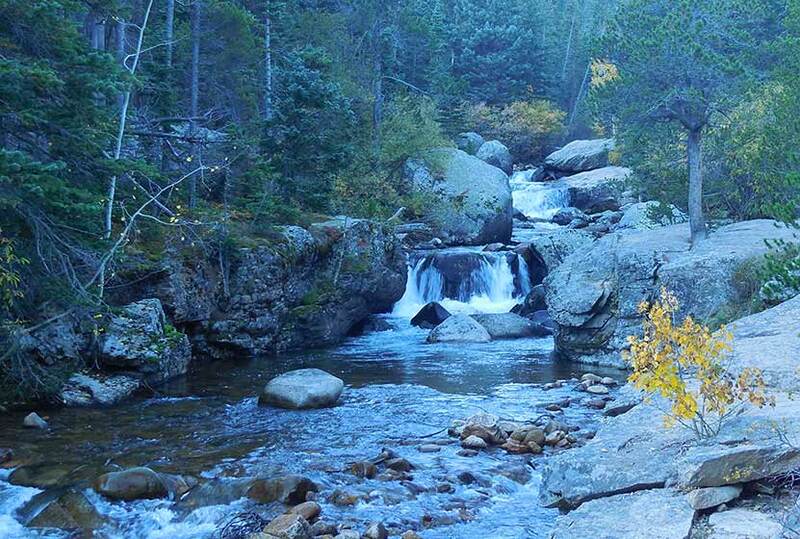 Copeland Falls is just one of the many waterfalls hikers will encounter in the Wild Basin area of Rocky Mountain National Park. 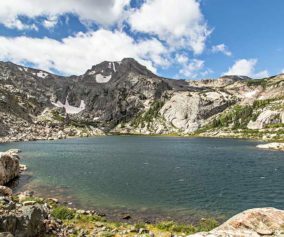 In fact, you can’t miss Copeland Falls as it is the first waterfall along the main trail–just a short hike from the trailhead. 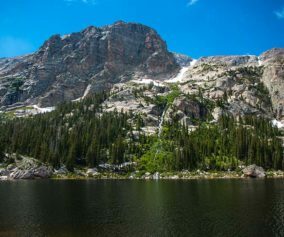 Explore the full Copeland Falls hike profile below for trail map, driving directions, and more tips and details to help you enjoy this adventure in Rocky Mountain National Park. 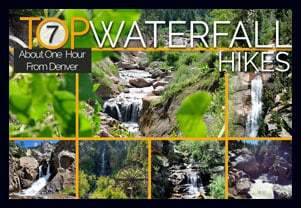 Copeland Falls is just a short and easy hike from the Wild Basin Trailhead. 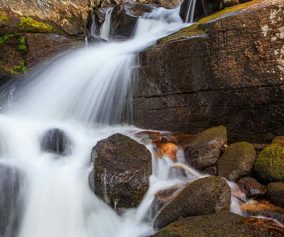 There are lower and upper leaps at Copeland Falls, and they are reached by following a couple of spur trails that branch off from the main trail. 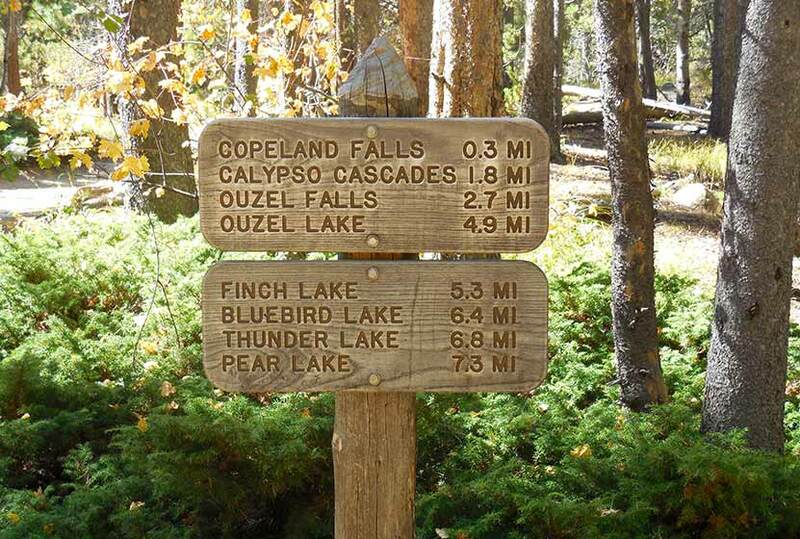 Signs will indicate the location of the trail to the Lower Copeland Falls. 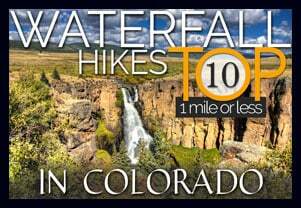 After viewing the lower falls, another spur trail leads along St. Vrain Creek to Upper Copeland Falls. 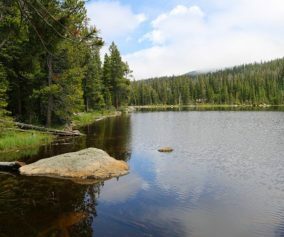 A sign will indicate where this second spur trail is located. 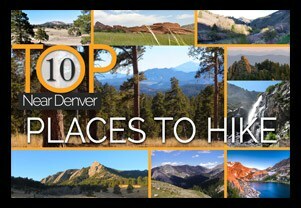 After viewing the falls, hikers can connect back to the main Wild Basin Trail which leads on to many other beautiful destinations, including several more waterfalls. TIP: Bring lots of water and high-energy food. You’re in Bear Country: Black Bears live in the Wild Basin area and are active on the months of April through November. Be aware, and dispose of your food responsibly. 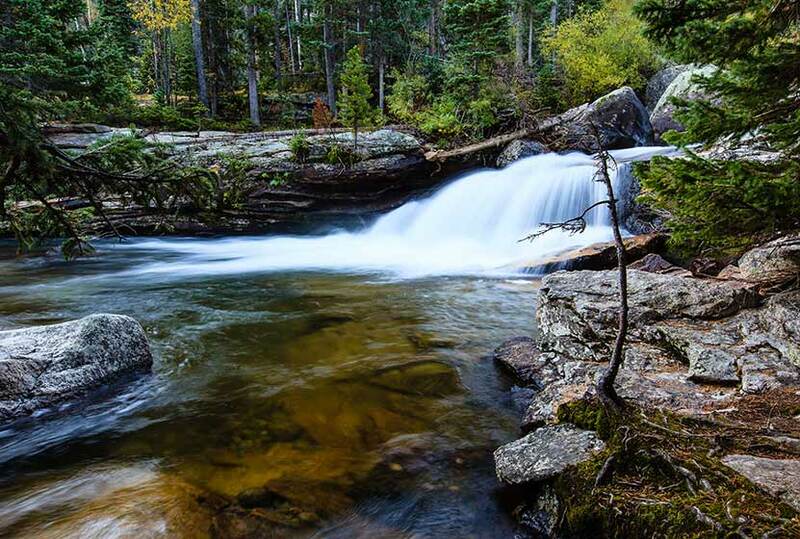 Photo: We would like to express our gratitude to Ben Graham for sharing such an amazing photograph of this hike to Copeland Falls in RMNP. His photos can also be seen at Redbubble.